It’s only a few months before the 26th anniversary of the first American appearance of Edward Albee’s masterpiece, Three Tall Women, yet we’ve seen surprisingly few revivals. It’s admittedly difficult to perform, but hundreds of our high schools have performed the extremely demanding constant dance numbers of A Chorus Line without even one cast member who can really dance. Certainly, those who love Albee’s plays can rejoice at this masterful new version. The legendary actress Glenda Jackson—who returned to the stage after 28 years in England’s Parliament and got raves playing King Lear in Shakespeare’s play at The Old Vic—stars with two admired, award-winning American actresses. And it’s gorgeously designed (Miriam Buether) as well as excitingly directed by Joe Mantello, one of Broadway’s most honored directors. Still, I think it needs some work. 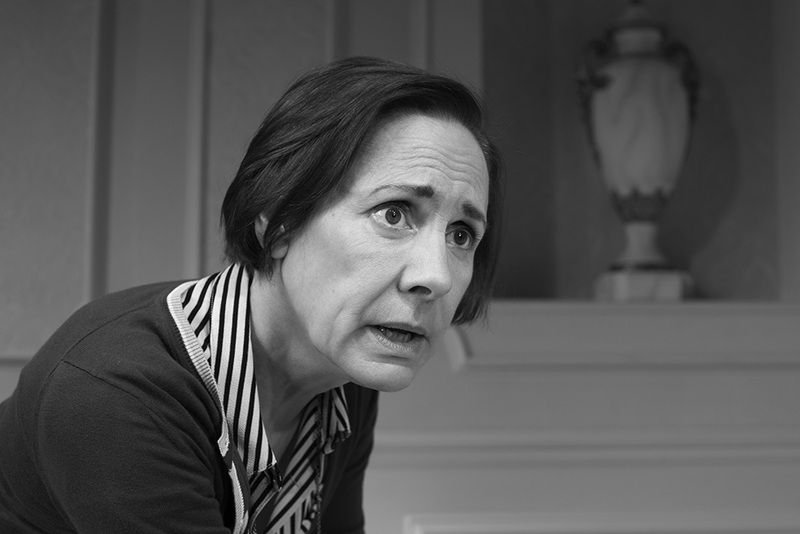 It’s generally known that Albee resented his coldly critical adoptive mother and attacked her in the form of Mommy, Martha, and other mother figures in his earlier plays, while affectionately portraying her mother as a grandmother figure. 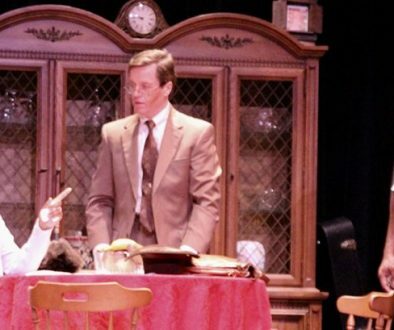 But in this complex play, “A”, the mother figure in her 90s, is so multifaceted that we should find her bewitching and deserving a wider range of responses. 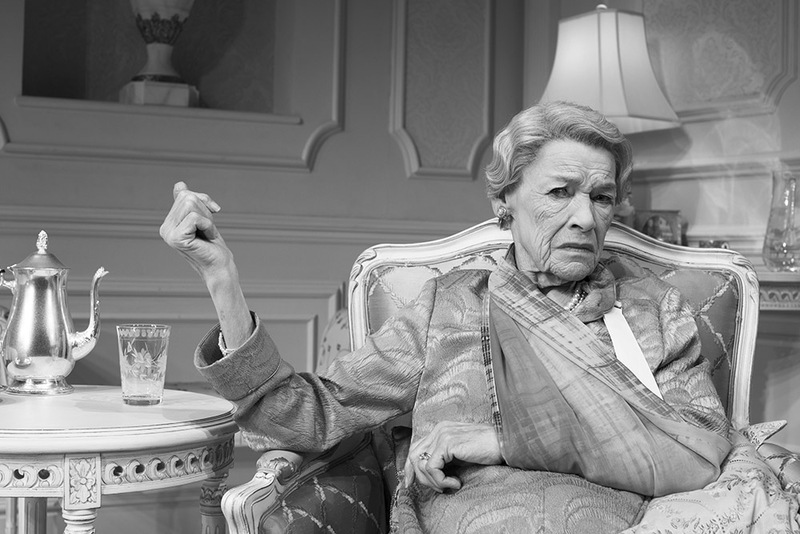 In a recent interview, Glenda Jackson talks of her constantly working to understand her character fully and keep growing in her portrayal. I thought her spellbinding, commanding, funny, powerful, pitiably physically weak and in pain, foolish, mean, and frightening. But I did not think her yet expressing the surprisingly appealing and impressive old woman that Albee showed to reverse his earlier stereotypes. In the original cast Myra Carter exemplified that softer character winningly. Later the characters – A, B and C – morph from ancient old mother (A—Jackson), middle-aged Caretaker (B—Metcalf), and young helpful lawyer (C—Alison Pitt). In the later act they’re the commanding oldest, A, a middle-aged manager version, B, and a young girl who will become the older two, C. They are three stages of one person. 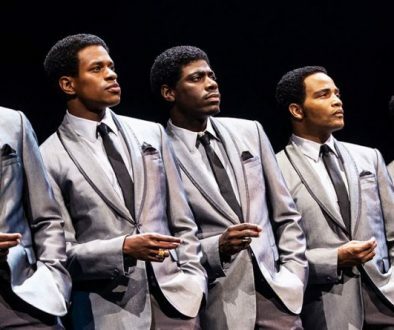 This is an incredibly challenging experience, and this production meets the challenge, perhaps more impressively than any other has. The night before I saw this historically splendid performance of one of the defining plays of our time, I saw another at the Pershing Square Signature Center: Edward Albee’s At Home at the Zoo. I had not seen its two plays performed together: in fact, I’d not seen Act I, “Home life,” performed at all. First staged in 2007 as Peter and Jerry, it consists of “Home life,” written in this century, and Albee’s famed 1958 play, The Zoo Story. Edward Albee sent me the manuscript of “Home life” with a note not to read it until I had re-read Zoo Story. It changes the perspective of that play by powerfully reinforcing that seminal, shattering, absurdist, almost nihilistic revolutionary 20th-century artwork. 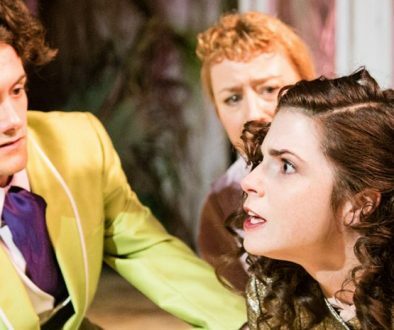 The second play has Peter and his wife hardly taking any action but reexamining their flawed relationship in sometimes shockingly censorable personal terms and deciding to hold on to the value of their love despite sexual and intellectual incompatibility. Then Peter leaves to go sit on his favorite bench in the park, where, in Zoo Story, he will meet Jerry with horrifying results. The production was simply designed, very well acted by Katie Finneran, Robert Sean Leonard, and Paul Sparks, and splendidly directed by Lila Neugebauer. Like Three Tall Women, this is a richly complex and often very amusing example of contemporary involvement with unembarrassed self-knowledge and unquestioned vulgarity. [Both plays have drily comic speeches in which the men complain about their shrinking penises.] It displays their easy acceptance of unfamiliar backgrounds. It may feel less horror at others’ pain and persecution, but it is also less aggressively cruel. Visiting these two late Albee plays wed to his earliest, I was struck by the continuing effectiveness of Albee’s potently orchestrated social analyses. Three Tall Women is playing at the Golden Theatre, 252 West 45th Street in New York. 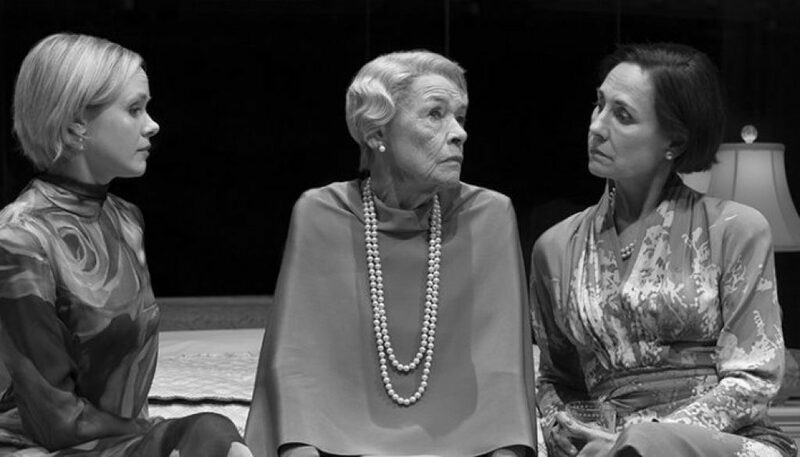 Directed by Joe Montello, it stars Glenda Jackson, Laurie Metcalf and Alison Phil. It opened on March 29 with a closing date slated for June 24, 2018. Scenic Design: Mariam Buether; Costume Designer: Ann Roth; Lighting Design. Paul Gallo; Sound Design: Fitz Patton; Hair & Makeup Design: Campbell Young Associates. The Role of The Boy played by Joseph Medeiros. Running Time: 1 Hour 45 Minutes. For tickets call 212 -239-6200.